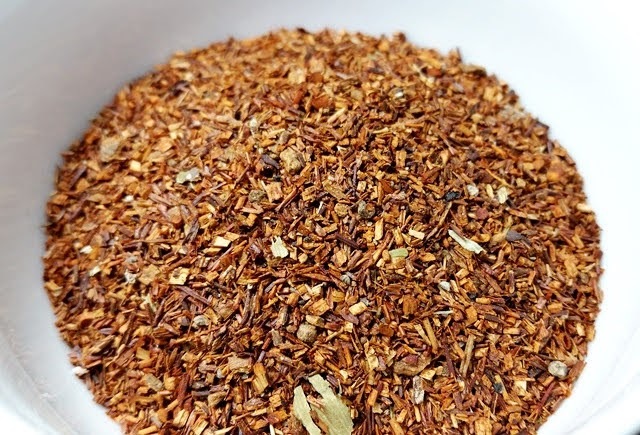 Product Description: Our own custom blend of India Masala Chai spices with South African Rooibos. The dry leaf blend includes rooibos, vanilla, cinnamon, cardamom, clove, star anise, and black pepper. The deep red infusion has a spicy aroma with notes of clove and cinnamon being most pronounced. The taste is sweet and spicy with notes of pepper, anise, and cardamom at the front. I tend to prefer masala chai with spices that are prominent and this hit all the right marks. The taste mellowed only slightly by the third infusion and holds up nicely through a few more. Usually tisanes and rooibos give you their best in the initial brew of 4 to 5 minutes. Not the type of beverage to have multiple infusions, however it 's interesting to see you at least test that far. Thanks for your comment! I always prepare 3 consecutive infusions when I review a tea. 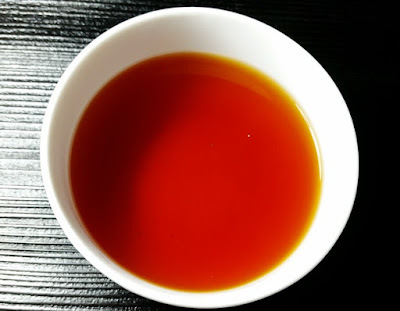 A surprising number of teas and tisanes that are considered one-and-done turn out quite lovely with a second (or third) infusion. Sometimes my tastebuds suffer so I can warn against attempting that second infusion. 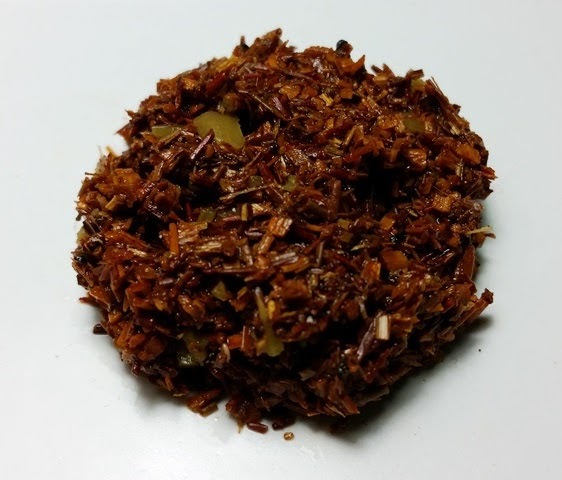 With this blend the flavor develops quickly thanks to the bold spices, though longer steeping times don't hurt. I've been drinking this blend at the office and average 3-4 tasty infusions using a mug infuser.